PLEASE Click Here TO SIGN UP FOR THE 2018 MCDONALD’S SPRING REC LEAGUE. Where (training)- You have 3 training locations to choose from on your registration application. Socastee Park, Stables Park and Carolina Forest Ball Fields 950 International Drive, Myrtle Beach Click For Map . Registrants that choose Carolina Forest for training will play matches at Socastee Park. Jan 19th – registration closes. Jan 20th – 26th – Coaches acquired. 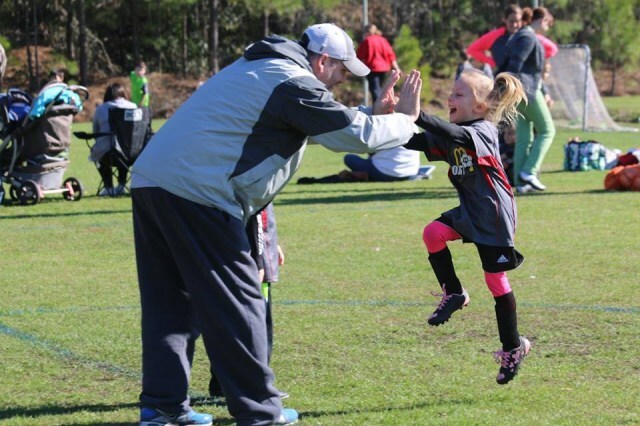 Jan 27th – Rec player evaluations (Socastee and Pawleys Island) for U8, U10, U12&U14 Boys and Girls. Coast FA travel coaches will conduct the sessions with the assistance of McDonald’s rec coaches. Feb 5th – 8th Coaches contact players. Feb 9th – Practice can begin for all teams. Coach decides days and times for his/her team practices. Feb 16th – Feb 20th– Coach issues uniforms to players. Apr 7th – Rec league tournament. Every player receives an individual trophy or League certificate. Please click on “Register or make payment” tab on www.coastfa.com to sign up for the 2018 McDonald’s Spring Rec League or Click Here.